One of the primary fundraising efforts for United Way of Forsyth County centers on workplaces (both big and small) running workplace campaigns. If you're wondering, "What is a workplace campaign and how do I run one?" Well, look no further. Answers to those questions can be found right here! A workplace campaign is a fundraising effort in which employees who work at a particular business are asked to donate to United Way by making a pledge of support to be deducted from their payroll. The pledge card is signed by each employee and processed by each company's payroll department. The pledges are set-up to be deducted from the employees payroll and the money donated is sent directly to United Way to help meet the needs in our community. So you may be thinking to yourself, "Why should I run a campaign?" Running a workplace campaign benefits your company, your employees and your community. A donation of $2 or $4 per pay period is often not missed by employees, but when coupled with the gifts of other employees, adds up to a significant amount of money that can change lives in our community! 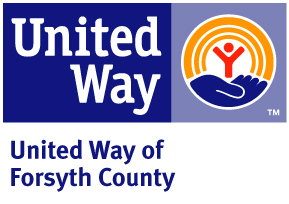 United Way of Forsyth County has posters, pens, pledge cards, brochures and more to assist you in implementing your United Way campaign. United Way staff is available to guide you and ensure your success! 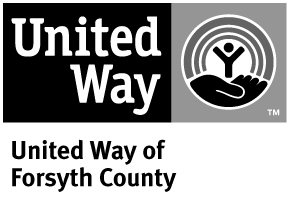 Running a United Way Workplace Campaign is an incredible way to impact thousands of lives right here in the Forsyth County community. It is not hard to plan a successful campaign and the results are amazing! Below is a variety of resources to help you get started. We also have staff available to assist you in your planning. Just call your United Way office at 770.781.4110 or email Andrea Preston. Use these handouts, posters and videos to share information about United Way and get people excited about giving! 20 Days of Email great "did you know" educational facts to share with your employees during your campaign! Campaign Coordinators Guide & Ways to "Make the Ask"
FUNdraising Ideas & Campaign Activities! If you do Jeans Days, contact the United Way office at 770.781.4110 for stickers! EPS Files: To download EPS Files: click on the link below and choose "Save"
JPEG Files: To download JPEG Files: click on the link below and choose "Save"